Dr. Alen Cohen is one of a few nose and sinus surgeons in the country who is comfortable at and routinely performs in-office nasal/sinus polypectomy under local anesthesia in the comfort of the office with excellent results. 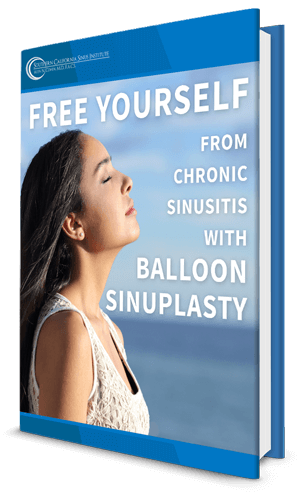 Similar to performing an in-office balloon sinuplasty to dilate the sinus openings, Dr. Cohen will address any polyps or polypoid sinus disease noted with the aid of a microdebrider and an endoscope. This allow patients to once again breathe comfortably through their nose, smell and taste once again and avoid recurrent sinus infections. Nose and sinus polyps are very commonly seen in Los Angeles and the Southern California region and are often due to advanced allergies or another unknown irritant in the environment. Nonetheless when they fail to respond to medical management with nasal steroid sprays, oral steroids, decongestants, antihistamines and various other medications, then either an In-Office Polypectomy or Minimally Invasive Image-Guided Endoscopic Sinus Surgery (MIGSS™) is warranted to properly address these polyps and improve one’s quality of life permanently. Many of the patients that Dr. Cohen treats often have had previous polyps surgeries elsewhere and have had immense pain, headaches, bleeding or packing following the procedure. They routinely tell Dr. Cohen and his team what an entirely different experience nasal polyp procedures or surgery is with Dr. Cohen in Los Angeles.